Today we'll be sharing Michelle's last project, which are these amazing, folded flowers! Last week we looked at Michelle's pumpkins that she created and made into a centerpiece, but let's take a look at her flower candlestick addition! I wanted to think of another project to use the 6 x 6 pads and decided to fold some kusudama flowers. This is an ancient Japanese paper model translated as "medicine ball" traditionally used for incense, but are now decorative. Here are some examples. There are five petals in one bloom. Each petal is made from one piece of 3 x 3 paper. So each sheet of 6 x 6 paper can be cut down to make 4 petals without any wasted material. After folding five petals, I hot glued them together to create one flower. 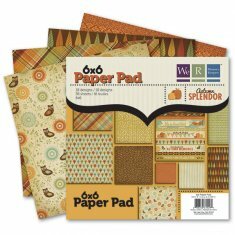 *I chalked the edges of each mini-sheet of paper. *I added some stamens to the centers of the flowers. These are purchased from the floral section of a craft store. I just hot glued them in the center prior to gluing on the final petal. 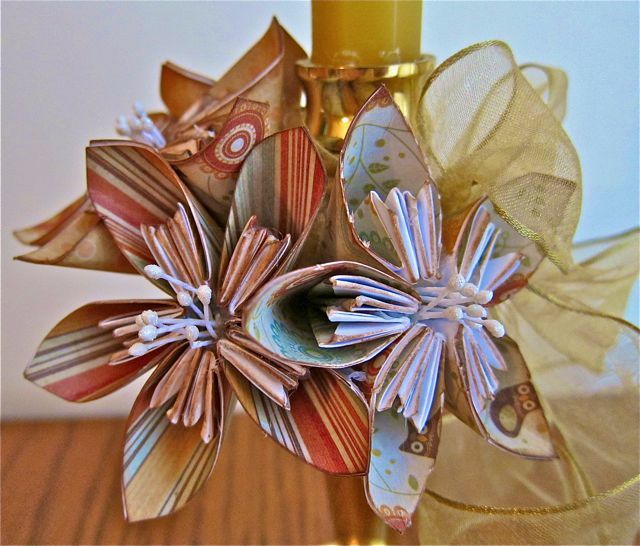 *I hot glued each finished flower onto a wired ribbon. This way, the flowers are not permanently attached to the candlestick but can be easily taken off if I still want to decorate the candlestick for another holiday, like Christmas. 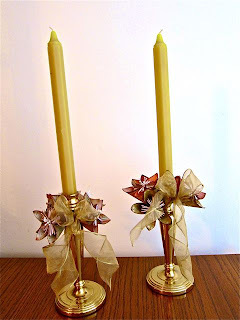 *I tied the ribbon around the candlestick and curled the bottom of the bow. 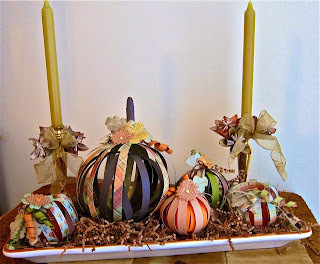 Here it is with the pumpkin centerpiece. Thank you, Michelle! This centerpiece is amazing! And remember that you can see all of our Design Team Member's projects in person at Page's From the Heart! 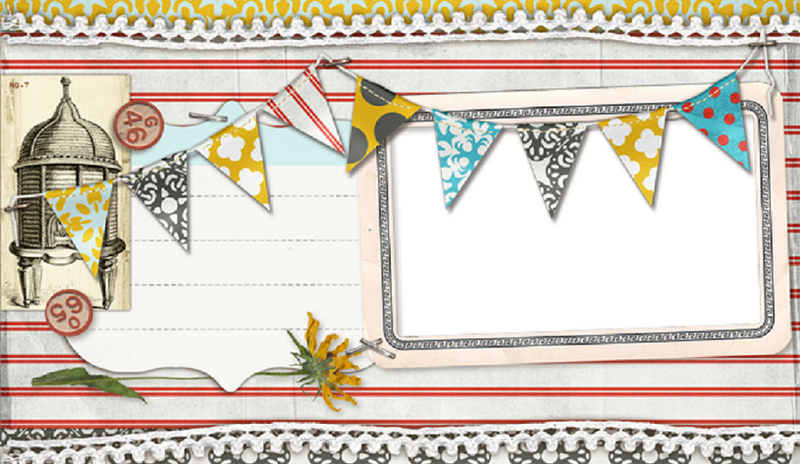 We'll see you tomorrow with my interpretation of Becky's Thankful Journal! I made some of these flowers and they're so easy once you get the folding pattern down! I can't wait to share them with my family for Christmas! A Great Goodie from Lauren! You're "Invited" to Spend Some Time with Lauren! Holiday Cheer Event at Pages!